Learn more about the original television shows and programming planned to release on Apple TV+, including series like Amazing Stories and Little America. Tim Cook and a host of celebrities took to the stage at the Steve Jobs Theater today to announce Apple TV+, a new subscription service offering exclusive new shows and fresh original programming. Through a series of special features hosted by the stars themselves, television fans were treated to their first looks at new series like Amazing Stories, Little America, Helpsters, and more. Only a handful of original Apple TV+ shows were directly featured, but a little bit of digging uncovers a host of content viewers can expect to land on Apple's new service. Here are each of the original and exclusive shows coming to Apple TV+ as revealed in the company's latest live stream. Many of these shows were revealed by the actors, writers, and directors themselves, often with a bit of flavor for what the series are all about. Find those details as well as teaser trailers for the new series below. Amazing Stories - A resurrection of Steven Spielberg's original Amazing Stories series, itself based on the print stories first published in the 1920s. Little America - Lead by Kumail Nanjiani and Emily V. Gordon with additional writing credits by Lee Eisenberg, Little America is an anthology series that focuses on the stories of immigrants arriving in America. Helpsters - Created by Sesame Workshop, Helpsters is a new TV series aimed squarely at children, meaning there's likely to be plenty of educational material and a wide variety of different puppets. Little Voice - From executive producers J.J. Abrams and Sara Bareilles, Little Voice follows along with several rising stars. Ten episodes are planned, with screenwriter Jessie Nelson attached to the project. The Morning Show - Starring Reese Witherspoon, Jennifer Aniston, and Steve Carell, this new series centers around a cast of characters working in TV production. See - A futuristic sci-fi drama written by Steven Knight and directed by Francis Lawrence, See is set to star Jason Momoa as Baba Voss. Toxic Labor - One of two planned, this Oprah Winfrey documentary chronicles the lives of those affected by harassment in the workplace. Beyond those shows Apple formally announced for Apple TV+, there are details of several other projects many believe will come to the service. These include some shows we've heard about for years, as well as some that haven't been officially confirmed just yet. Here's everything we know about shows that are likely to come to Apple TV+. This information was compiled using several sources including Macworld, Variety, The Hollywood Reporter, and the Internet Movie Database. Some of the details may have changed since the original announcements were made; until the shows are formally revealed, the following information is subject to change at any time. It's also worth noting that not every series or program listed below will be available at the time Apple TV+ launches. Instead, it simply examines all of the productions known to be affiliated with the service so far. Are You Sleeping - Adapted from Kathleen Barber novel Are You Sleeping: A Novel. Calls - An English-language version of Calls, the Canal+ short-form television series. Central Park - A fresh new animated music comedy from Loren Bouchard, Nora Smith, and Josh Gad. Defending Jacob - Starring Chris Evans and directed by Morten Tlydum, this limited series follows the story of a father accused of murder. Dickinson - A coming-of-age comedy starring Hailee Steinfield and written by Alena Smith, Dickinson follows the early years in the life of American poet Emily Dickinson. The Elephant Queen - Narrated by Chiwetel Ejiofor, this documentary from Victoria Stone and Mark Deeble follows along with a family of elephants as they leave home in search of food and water. For All Mankind - Starring Joel Kinnaman, Michael Dorman, and Sarah Jones, this new series centers around a future where mankind continued to push into the boundaries of space. For All Mankind has been written as well as created by Ronald D. Moore, who is perhaps known for his work on Battlestar Galactica. Losing Earth - Based on New York Times feature Losing Earth: The Decade We Almost Stopped Climate Change, rights to this series were purchased by Apple in August of 2018. Home - This original documentary series explores extraordinary homes and dives into the minds of the people who build them. My Glory Was I Had Such Friends - This series based on the Amy Silverstein memoir is slated to star Jennifer Garner, with J.J. Abrams signed on as executive producer through Bad Robot. On the Rocks - An original feature film written and directed by Sofio Coppola, On the Rocks will star Bill Murray and Rashida Jones. Pachinko - Adapted from the book by Min Jin Lee, this series is set to be written and directed by Soo Hugh. Vital Signs - Part emotion-based miniseries, part autobiography, this series following the life of Andrew Young, better known as Dr. Dre, was first announced in 2016. Wolfwalkers - A new cartoon feature from Cartoon Saloon following the story of hunters who join forces with a wild young girl. Check out the Wolfwalkers conceptual trailer featured below. Unknown Rob McElhenney comedy series - Though details appear to be slim at the moment, we know that this series will be produced by Ubisoft and is set within a video game studio. Charlie Day is involved with the project in the role of executive producer. 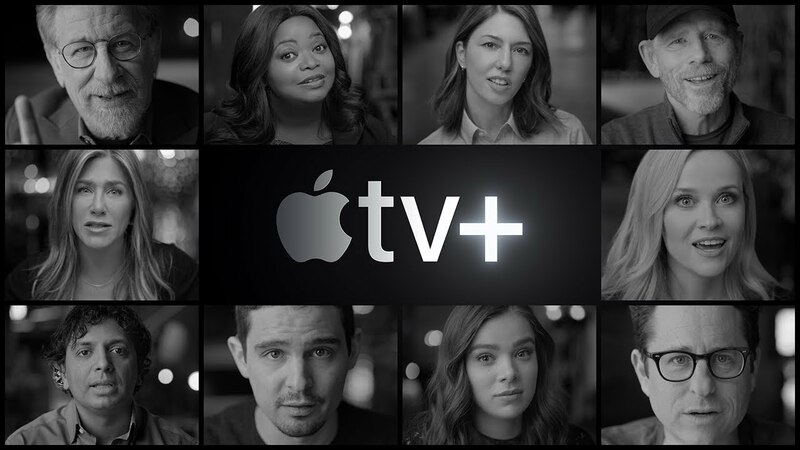 If the confirmed and rumored shows coming to Apple TV+ serve as any indication, the tech giant intends to make a big name for itself when it comes to video content production. We're certainly eager to learn more about each of these original and exclusive shows, but we're even more eager to find out when Apple TV+ finally launches. Until such a time as Apple provides a launch date for the service, keep on top of new Apple TV+ developments by heading over to the Modojo @ Shacknews home page.